The management and control of brain tumors often requires treatments instead of or in conjunction with surgery. Patients are evaluated in the Neurological Oncology Division at the John Theurer Cancer Center at Hackensack University Medical Center together with a team of medical neuro-oncologists and radiation oncologists. Standard treatment protocols involving chemotherapy and radiation therapy are carefully considered and reviewed with patients in this setting. Additionally, patients may decide to participate in a variety of promising clinical trials to improve outcomes. Hackensack University Medical Center has been offering radiosurgical treatment of brain tumors for over 20 years making it the longest running program in New Jersey. The newest and most advanced radiosurgical device–The Leksell Gamma Knife Perfexion ® system–has been installed and forms the centerpiece of the newly endowed Viswanathan Rajaraman and Mary Sundaram Radiosurgery Center. Patients with brain, skull-base or spinal tumors offer challenging clinical problems that often require the care and knowledge of a variety of specialists. Surgeons work closely with medical neuro-oncologists, radiation oncologists, epileptologists, intensivists, neuro-radiologists, otolaryngologists, neuro-pathologists, and palliative medicine providers to manage any problem that may arise. Hackensack University Medical Center is well represented in all of these specialties and physicians interact directly and regularly to ensure that communication is consistent, clear and uninterrupted. This group of doctors attends a bi-monthly multi-disciplinary neuro-oncology conference to design well-considered treatment plans for established and newly diagnosed patients. 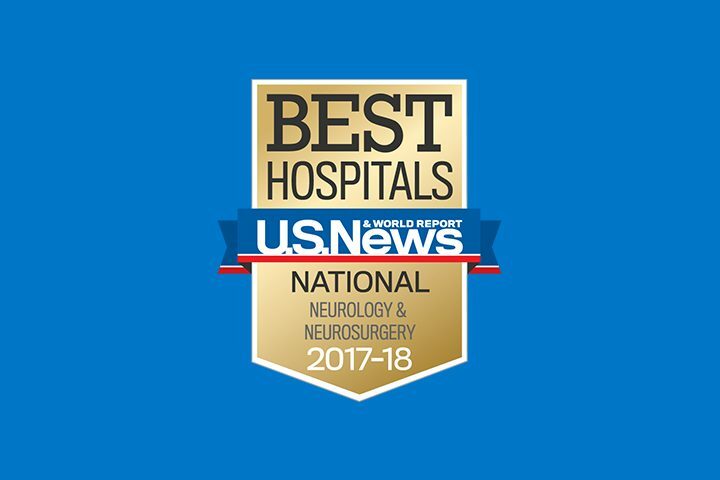 US News and World Report has ranked Hackensack University Medical Center neurosurgery as one of the top 40 neurosurgical programs in the country. The service offered by the division of neuro-oncology and skull-base surgery has contributed to this recognition by offering superior care for the treatment of patients with brain and spinal tumors. These services involve utilization and development of state-of-the-art diagnostic tools including functional MR, tractography, spectroscopy and perfusion imaging. The neurosurgical operating suite at Hackensack University Medical Center is equipped with intra-operative navigation and ultrasonography which augment the surgeon’s capability to operate safely and effectively. Intra-operative neurophysiological monitoring includes continuous motor evoked potential stimulation and subcortical monopolar stimulation for preservation and localization of motor fiber tracts. Under development to be soon operational is an MR suite allowing for real time stereotactic biopsy. The surgical team, led by George J. Kaptain, MD, performs over 100 brain and spinal tumor operations annually and functions as a referral center for surrounding area hospitals and oncologists. The operating room is staffed by a dedicated team of anesthesiologists, operating nurses and OR technologists who are present on a day to day basis to ensure for a seamless surgical experience. Operative or non-operative treatment is determined by the anatomy and nature of the tumor. Both intra- and extra-operative brain mapping as well as ‘awake’ craniotomy allow for safe resection of tumors in manifestly functional areas of the brain. A variety of other surgical techniques are also performed routinely including endoscopic endonasal skull-base and pituitary surgery, stereotactic biopsy, ‘mini’ craniotomy, as well as MR guided laser interstitial therapy (LITT). Surgeons in the division of neuro-oncology are supported by a variety of other sub-specialists within the department of neurosurgery to assist in foreseen or unforeseen circumstances. The neurovascular division is able to perform preoperative embolization of vascular tumors or WADA testing to assess for lateralization of language and memory function. Revascularization and bypass surgery is also offered in more complex circumstances where the tumor compromises the critical vascular structures. An annual Neuro-Oncology Symposium has been sponsored by the Department of Neurosurgery together with the John Theurer Cancer center for the past eight years. Lecturers and researchers from across the country have been invited to share their research and experience to allow for improvement of neuro-oncology care offered at Hackensack University Medical Center. One of New Jersey’s largest providers of dedicated comprehensive diagnostic and therapeutic pain management services. Neck pain or back pain can be life altering. It can affect your sleep, your ability to work, and even make it hard for you to enjoy your regular activities. You don’t have to live with pain. Our patients have access to tomorrow’s cancer medicines including new agents which can offer successful alternatives to chemotherapy. The depth and breadth of experience of our world class experts, who each focus on specific subtypes of cancer, results in the best available personalized care. Physical therapists work with a variety of patients due to the functional limitations associated with a disease or an injury.